Whoever said celebrities don’t have friends wasn’t talking about this group of highly paid, skilled and outstanding actors and musicians. Some of these celebrities go back decades as friends, so far back that they shape each other’s careers. There are other friendships that began in recent years but have made an impression on the celebrity and their fanbase just as much as if it had been decades. It’s comforting to see celebrities befriend one another, showing us that it isn’t all jealousy and rivalry in Hollywood, but comradely, respect, and appreciation as well. We have collected the best of the best friends in Hollywood for you to ooh and awe at! 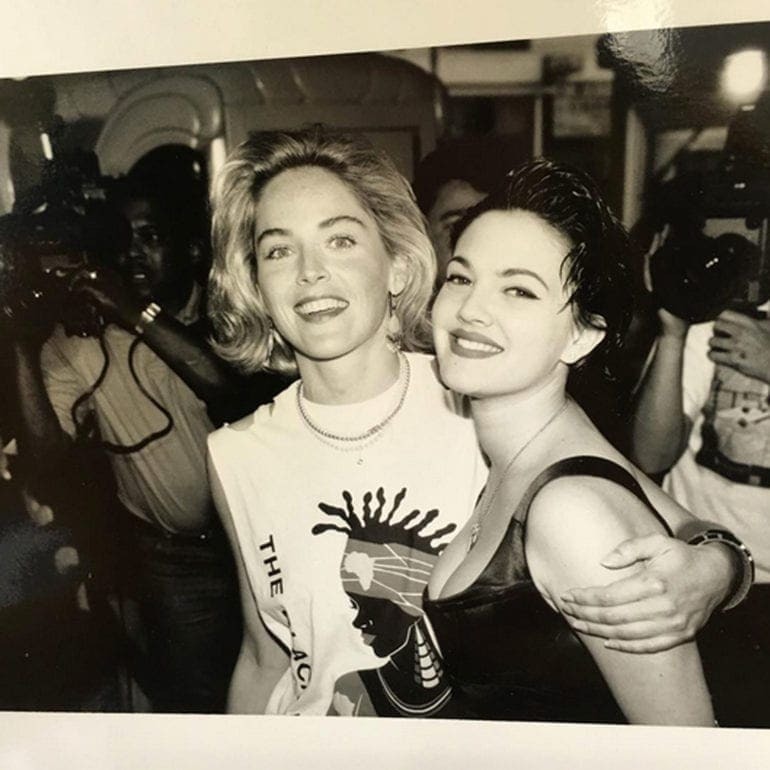 Drew Barrymore and Sharon Stone met in the 90s when Drew was in her rebellious made up stage and Sharon was all over the film docket. Here we see the two an event, with Drew’s sensational smile and Sharon looking (somehow) exactly the same as she does today, does the woman never age? Anyway, the duo has been friends ever since, being there for one another when they needed support throughout various stages in their careers and lives. 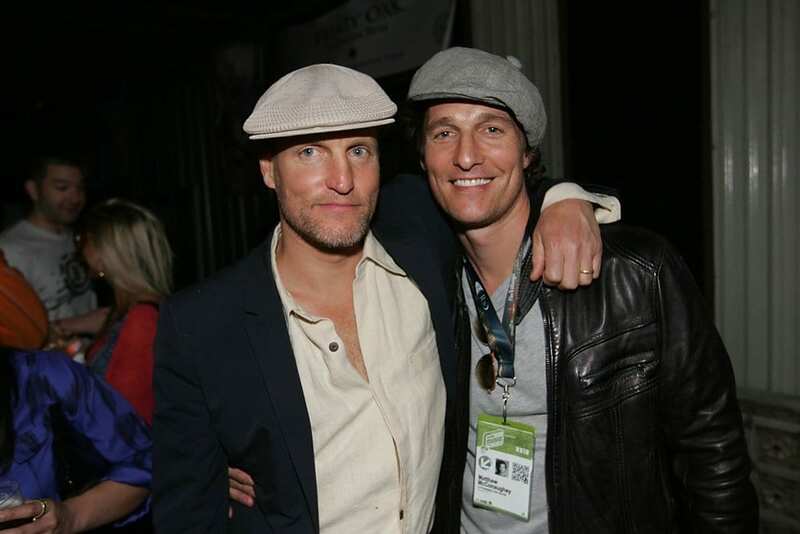 Woody Harrelson (known for his role in The Hunger Games films, among others) and Matthew McConaughey have been the best of friends for years. The two collaborate both on and off screen. Woody and Matthew co-starred in True Detective together after being on multiple projects side by side. The two lead a very similar lifestyle in terms of their mutual interests (you guessed it, surf, sun, family and R&R). It’s so nice to see two stars of their stature such good friends. The A-list women are both married and have children of their own, but can be seen together with their respective families on group outings. Nic and Naomi are also red carpet buddies, walking together whenever they can. 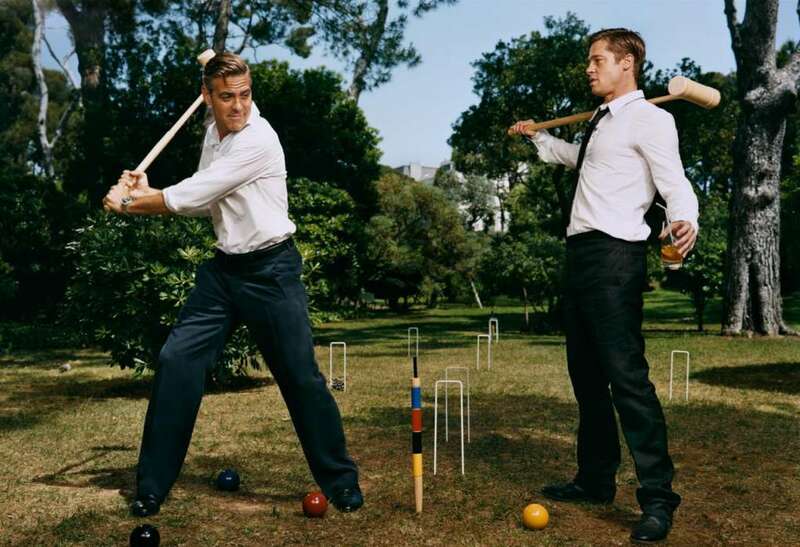 George and Brad have been friends since starring in the first Oceans film, Oceans Eleven, in 2001. The two have gone on to found charities together, like their Darfur initiative. Friendships in Hollywood, though, are somewhat different than ours. Michelle and Busy are attached at the hip. 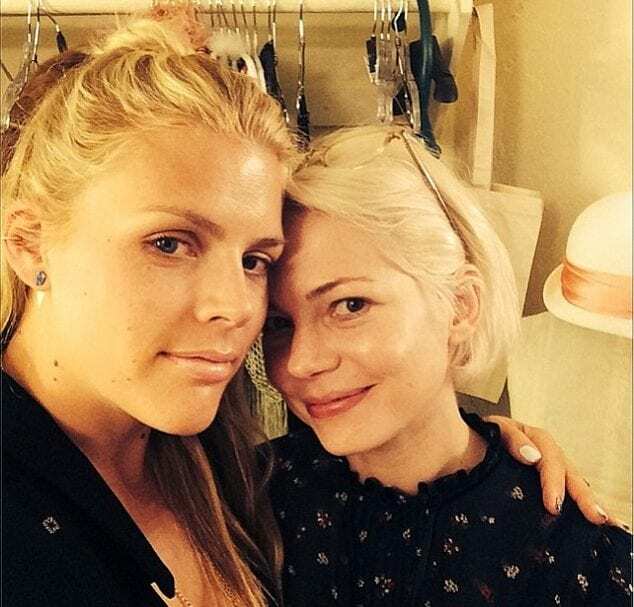 The blonde beauties met in the early 2000s when Michelle and Busy were on the set of Dawson’s Creek. Since meeting, the friends have been inseparable, being there for each other through tragedy, like Michelle’s former partner’s death, and throughout the three children, they have between them. Tiffani and Jennie met on the set of Beverly Hills 90210 in the 90s. The two were very close on the set and after the show stopped filming in 2000. Jennie and Tiffani had a falling out following the end of the show but decided to end their feud as they knew it made no sense to fight. The two reconnected thanks to their children’s school and having more mutual friends that made them realize that they need one another. Teen pop sensation Britney Spears and Titanic heartthrob Leo DiCaprio met in the early 2000s when their respective careers were on fire. The two hasn’t been seen friendly since this photo because we had no idea these two were ever friends! Alas, we were wrong as they look super playful here (although we aren’t sure what Leo is doing with his hands here). Britney posted this photo on her Instagram to remind us of just how adorable her friends are. Drew has a lot of good celebrity friends, being on this list twice (very much like Leo DiCaprio). Drew and Charlie’s Angels co-star Cameron Diaz have been friends ever since they made the first film together back in 2000. They were big parts of each other’s weddings and there for each other through the birth of Drew’s daughters and her unfortunate divorce a couple of years ago. That’s what friends are for! Jake is an actor and Marcus is a musician, put those together and you have an entertainment duo from heaven. Jake and Marcus met years ago and have been good friends ever since. Marcus is married to actress Carey Mulligan, the wedding of which Jake attended in 2012. Jake also goes to many of Marcus’ shows as he is a big fan of his band, Mumford and Sons. Gotta love a good bromance! 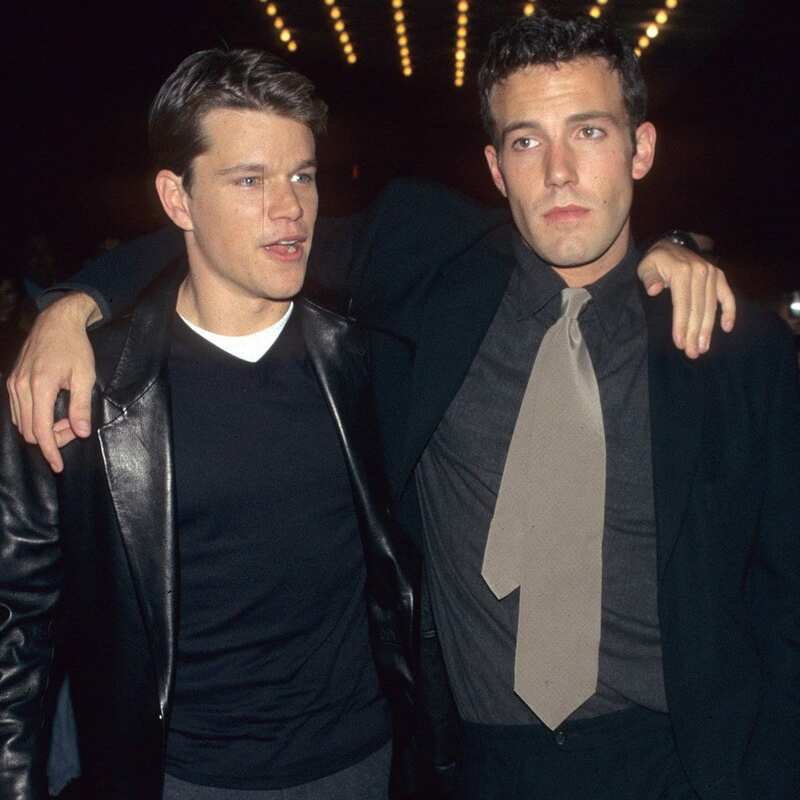 Matt Damon and Ben Affleck go way back. The moment this friendship was introduced to all of us was when the duo won their shared screenwriting Academy Award for Good Will Hunting back in 1998. The boys from Boston have been very good friends ever since and have worked together on other projects. Affleck and Damon go on family vacations together, especially when Ben was still happily married to Jennifer Garner (which may still happen!). This friendship is definitely going to go the distance. Kate and Leo have been in several films together, but it’s their first movie together that catapulted their careers and friendship to where it is today. 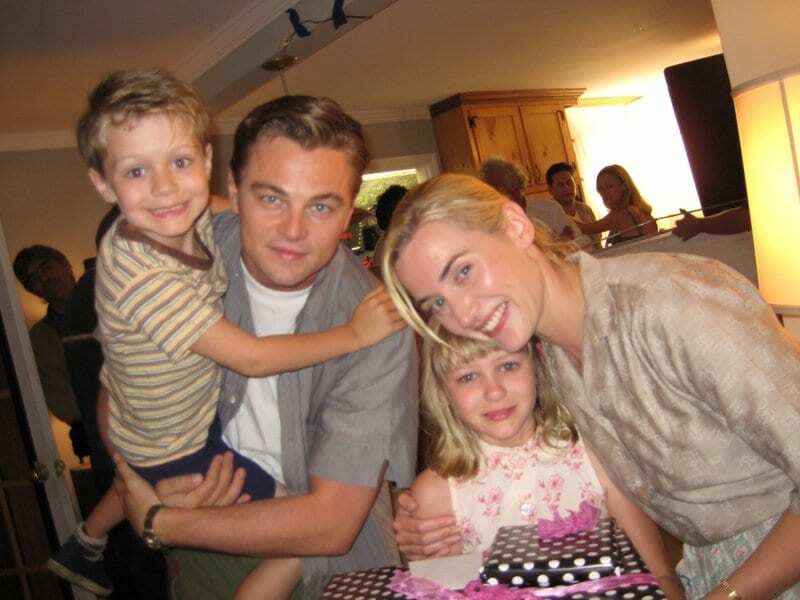 Leo and Kate met on the set of their 1997 film Titanic and instantly connected. Since their first film, the two starred in Revolutionary Road together in 2008 and are now going on their 20th year as friends! Leo has a lot of friends in Hollywood but it’s his friendship with Kate that’s the most special. The friendship between Tim and Johnny comes from a perfect companion in artistic expression. Johnny has been in a long list of Tim’s films as he seems to be the perfect conduit for Tim’s characters. Burton is known for fantastic films that stretch creativity to the max and storylines to the impossible. Johnny has been able to be what Tim needed and therefore have spent many years working together, becoming friends in the process. The two latin stunners, Hayek and Cruz met in 2006 on the set of their film Banditas. Perhaps it’s due to their Hispanic upbringing or just because when two women are so beautiful it’s only physics that they become best of friends, but these two have been friends since their Banditas days; through their weddings and their children too. Perfecto! 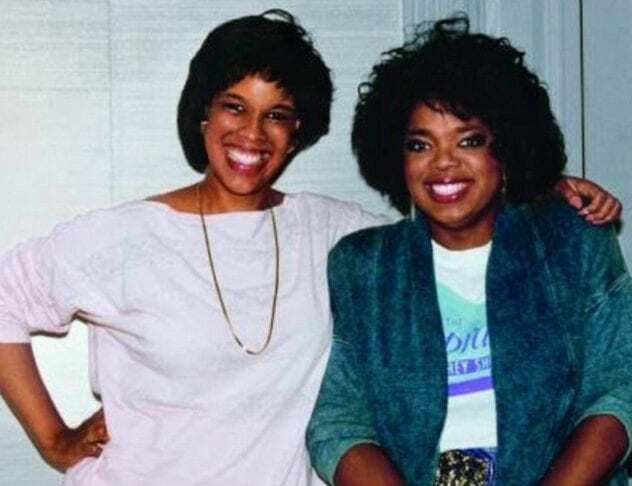 Talk show queen Oprah Winfrey has been friends with her best friend Gayle since the 70s! They have been beside one another ever since they met, even sparking rumors that they are more than friends behind closed doors. Either way, King and Winfrey are the picture of what friendship should be. King is a co-anchor on This Morning and the editor at large of The Oprah Magazine. Winfrey herself is busy running her own empire but the two are always together and laughing with each other. 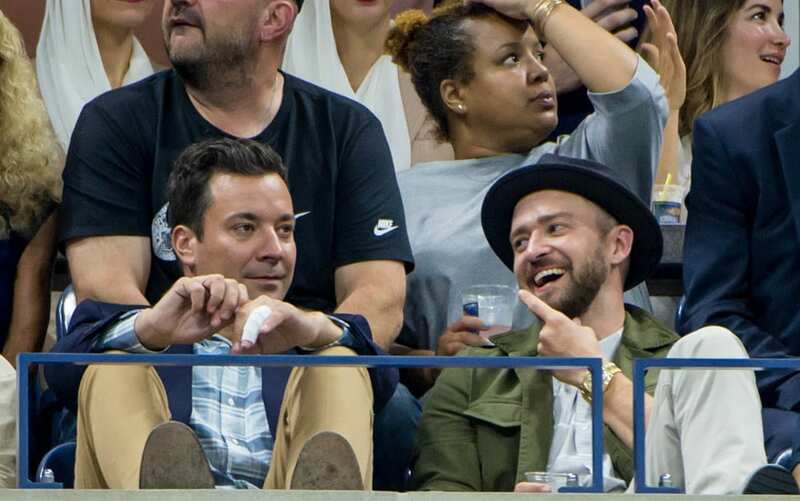 There has been plenty of press on the bromance between Justin Timberlake and comedian Jimmy Fallon. The two have a very similar sense of humor (which for funny guys is like catnip) and are just plain adorable together. The friends met in the early 2000s by way of Saturday Night Live, which they still appear in skits on. They go to award shows, basketball games, vacations, and restaurants together. Just two men about town! Victoria Beckham and Eva Longoria have been friends for several years already, whether we knew it or not. Victoria helped Eva get ready for her wedding in 2016 in addition to Eva being the godmother to Victoria’s daughter Harper. 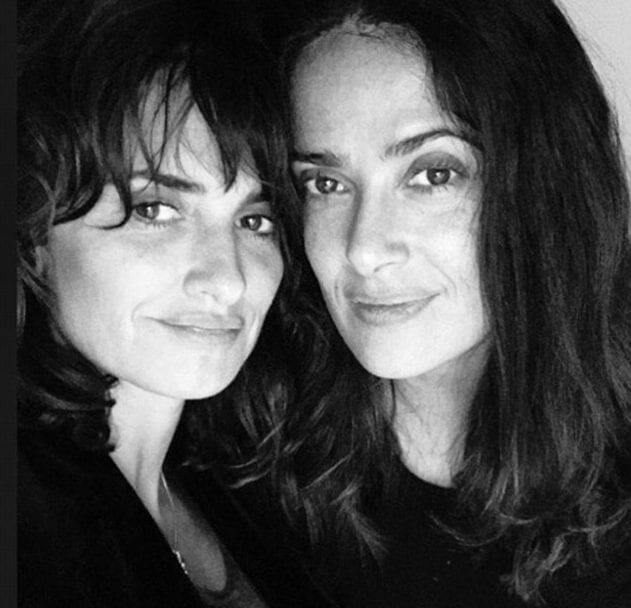 Eva said about her friendship with Victoria, “we’re best friends and have shared lots of life lessons together.” The duo is one of the more powerful friendships in Hollywood and one that is interesting as they are both from very different ends of the Hollywood sphere. Robert and Jude are two straight men who are totally in love with one another. The two met on the set of Sherlock Holmes in 2009 as director Guy Ritchie wanted both of them to play the leading roles. We’re not sure if you remember the slightly creepy and a little bit cringeworthy Elle Magazine photoshoot that Kim K and the Biebs took part in back in the day. Well, this shoot only added fuel to the fire that was this alleged relationship. Rumors were already spiraling out of control that the then 29-year-old and 16-year-old were an item after countless photos of the two began appearing all over the Internet. It turns out, though, the photoshoot was just for funsies. Jessica and Jennifer got very friendly on the set of the film Valentine’s Day back in 2010. Since then the two friends have been seen going to each other’s homes and Jennifer going to Jessica’s restaurant. Jessica was said to have been there for Jennifer when the Ben Affleck cheating rumors were running rampant, keeping an eye out that her friend is taken care of and protected in the media. English best friends for the win! 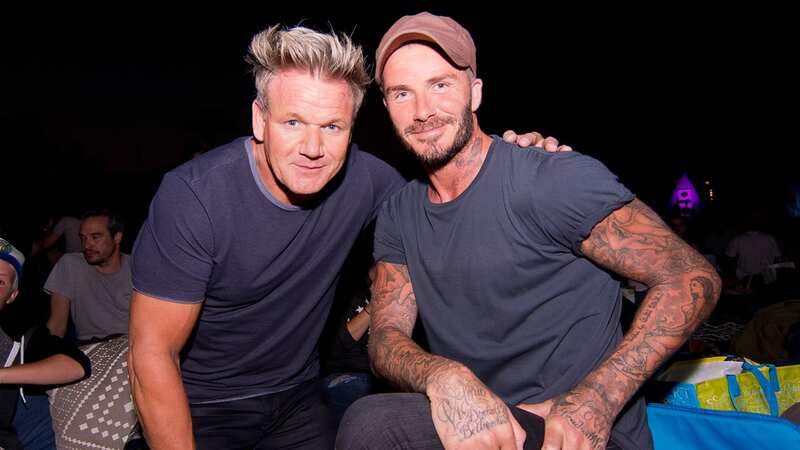 Former soccer player David Beckham and renowned moody chef Gordon Ramsay have been very good friends for a few years now. Their respective families spend a lot of time together as well and can often be seen watching a football match, sitting courtside at a Lakers game, and going out to dinners and events together. We aren’t sure how these two met but we are sure it had something to do with an English connection. What do two friends who are singers do? They collaborate on a song of course! 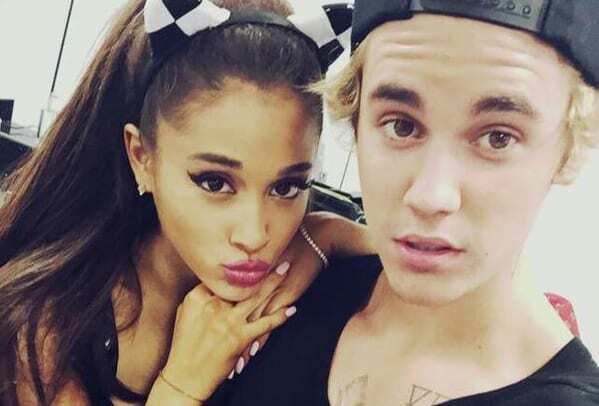 Justin and Ariana, who were rumored to have been dating, are in fact just friends who love and respect one another and want nothing but success and happiness to befall them. Justin and Ariana has sung together before but when they decided to collaborate and perform together, we thought it took their friendship to a whole new level. Bradley Cooper didn’t get along with Zac Galifianakis on-screen when they starred in The Hangover together in 2009, however, the two have been friends since around 2000 and very good ones at that. Bradley was a part of Zach’s 2002 talk show Late World and took part in Zach’s Funny or Die series, Between Two Ferns. It’s very touching to see a friendship like theirs lasting through years of films and other projects. Kate and Reese met back in 2007 and completely hit it off as friends. Reese said of her and Kate’s friendship, “Imagine my good fortune when Kate Winslet moved into my neighborhood, rang my doorbell, and said, ‘Dahling, Sam is off shooting and I believe our children are the same age. Charlize and Kristen met on the set of their film Snow White and the Huntsman. Although they played rivals on screen, they had nothing but love for each other off screen. Charlize went so far as to saying “I really, I really, really love that girl. I love that girl, like, I would jump off a building for that girl. She’s amazing, she’s amazing.” This friendship makes us want Theron as a friend to us as well, we bet she’s great to have a drink with! Mario and Eva are more like family than friends. The two talk all the time and are often seen around New York and Los Angeles. Mario’s family can be seen with Eva and her husband at the beach and on various shared vacations. The two friends have co-hosted Extra together several times and are very playful and comfortable with one another on and off screen. Another case of English pals getting together, this time all the way back in their high school days. 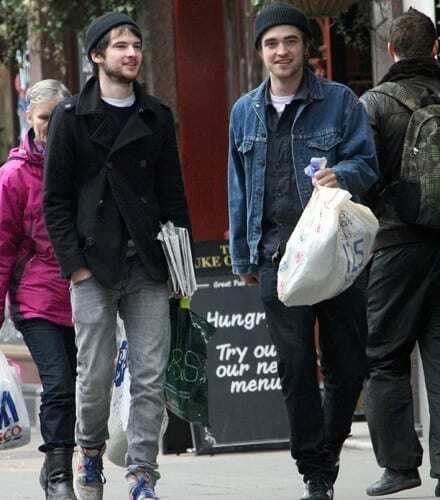 Twilight heartthrob Robert Pattinson (forgive us Rob for mentioning you and Twilight together but it is how most people remember you) and fellow actor Tom Sturridge met in England and moved to the United States to pursue acting at approximately the same time. Tom is also known for being in a relationship with Sienna Miller whom he has a child with. Tom and Rob are often seen hanging out walking his dog or going to a local bar. Obviously, Jennifer Aniston and Courtney Cox would be on this list, they are the ultimate celebrity best friends! The two met on the set of Friends back in 1994 and have been best friends ever since. They have vacationed together, gone through marriages, children, and divorces together, just like any one of us. These two are always together, whether it’s getting coffee or on the red carpet. Perhaps we will see them in a movie together soon? Tina and Amy met in 1993 at a Chicago’s ImprovOlympic. The funny women were immediate friends. They moved to New York City and began their time on Saturday Night Live. Today, Fey and Poehler have starred in films together and have written skits for days. They are basically the leading women of comedy today, and best friends, so it’s a win-win situation for all of us. Mandy Moore, who is now back in the spotlight with her role in This Is Us, was a teen sensation in the late 90s early 2000s. 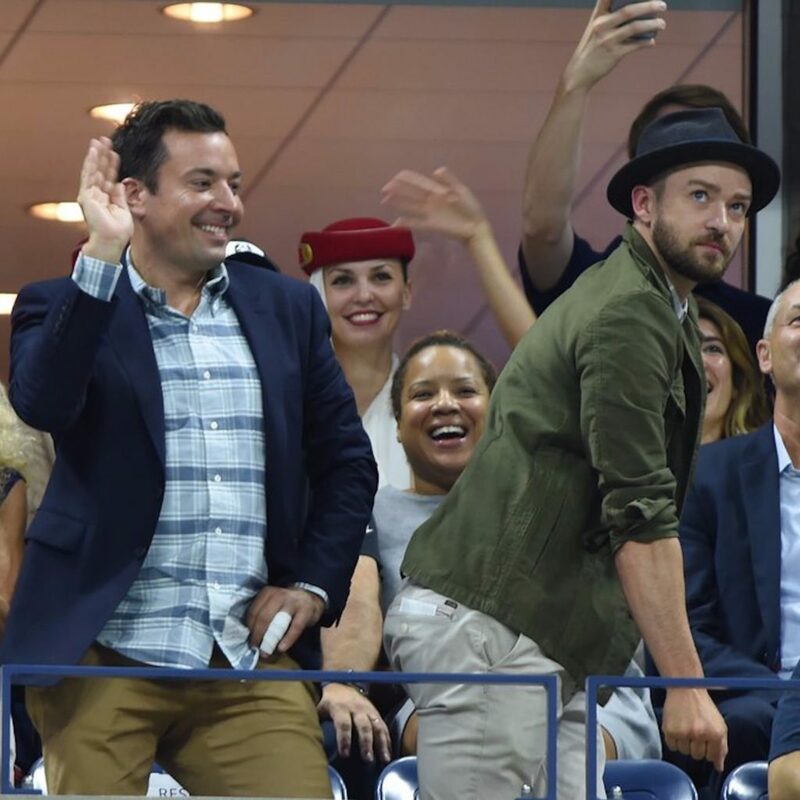 Justin Timberlake was all about NSYNC and we loved it. 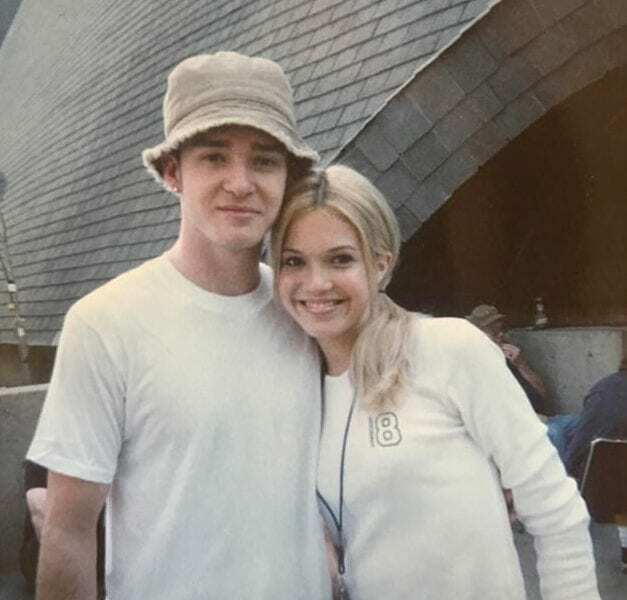 In the summer of 1999, the two met when Mandy opened for NSYNC. Mandy said she was so excited to meet the band and open for them in front of their legions of fans. Justin, on the other hand, told her, “you have big feet for a girl.” nice one JT. 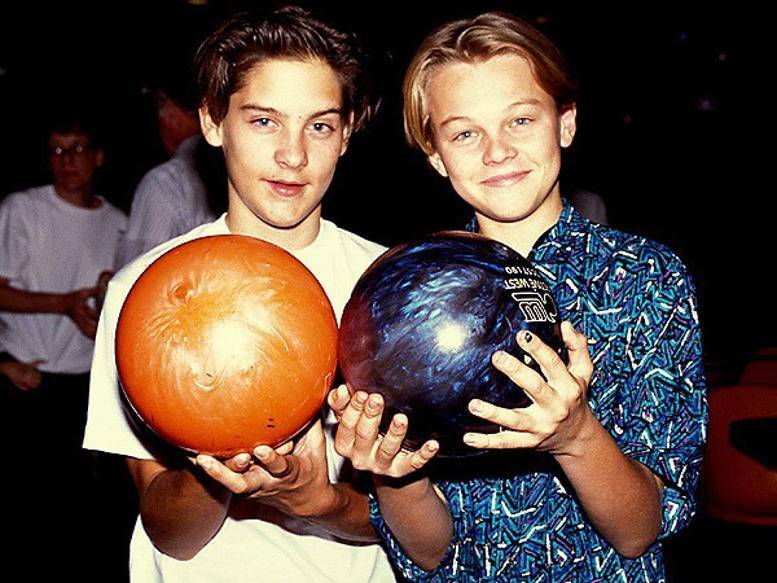 Tobey McGuire and Leonardo DiCaprio go way back. The two have been friends since the mid-80s when they both auditioned for the same role. Every since the day they hit it off as friends they have been inseparable. Despite many tabloid magazines swearing these two were together, Ryan Reynolds and Sandra Bullock were nothing more than very good friends. They met years ago but solidified their friendship after costarring in The Proposal. Sandy was there for Ryan as he divorced actress Scarlett Johansson, and Ryan was there for Sandra when she divorced Jesse James after his cheating came to light. At the end of the day, these two are friends through thick and thin.